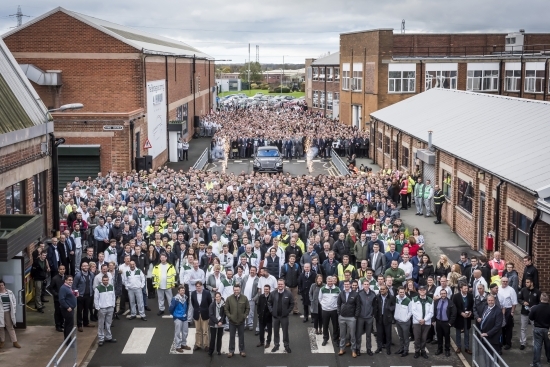 Bentley Motors has been recognised as a Top Employer for the sixth consecutive year, reflecting the company’s attention to excellence in personal development and employee conditions. The award – presented by the Top Employers Institute – highlighted Bentley’s emphasis on continuous improvement, employee conditions and dedication to the company’s 4,000-strong workforce. “Maintaining our status as a Top Employer is not only recognition for our business, but for our colleagues as well. We are very proud of our highly-skilled workforce and are committed to ensuring they have every opportunity to reach their potential. The annual international research – undertaken by the Top Employers Institute – recognises leading employers around the world, which provide excellent working conditions, make every effort to continuously enhance recruitment processes and nurture and develop talent throughout all levels of the business. Bentley Motors recently launched its 2017 trainee recruitment, with 60 positions available for apprentices, undergraduates and graduates, across all business areas. Looking further ahead, to support the company’s future investment in its employees and the community, Bentley is playing a pivotal role in bringing a University Technical College to Crewe. Focused on Engineering and Design, the school will offer an inspiring education for 14-18 year olds seeking a pathway to future employment.